Saint George Lodge A.F. & A.M.
Click on the 2B1ASK1 link on the left. please scroll down and click on "Contact Us". Please include your name, address, age, phone # and email address. We will contact you and answer any questions you may have. 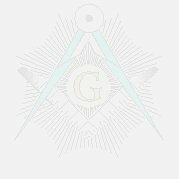 A Freemason’s Lodge is a living thing. It lives and breathes through its members. It grows; it has achievements, setbacks, celebrations and disappointments. it has informed and shared, it has educated and entertained. Regular Business Meetings are on the First Wednesday of each month at 7:30 pm. 2007 SaintGeorgeLodge.org Created 3/5/07. Last Updated 01/08/18| All Rights Reserved.